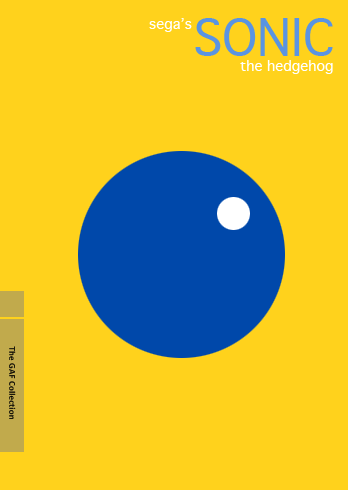 The Agency Group is my effort to create a Criterion Collection for gaming; the name comes from the definition of "agency" related to choice. Over the next few weeks, I'm planning on daily posts detailing which games I believe should qualify for this honor, preserved for influential classics in gaming. Here's my original post on the subject, which should explain the basic concept in more detail. The 7th Agency Group inductee, Chrono Trigger, is a standard bearer for its genre that's even more notable for being a unique experience, with only one spiritual successor. Meanwhile, today's entry has an almost laughable amount of spinoff games on multiple consoles, portable systems and mobile devices, and after an excellent 2D start it has really fallen off the proverbial cliff in the last decade quality-wise. Even so, the series is so beloved that the bad games in its series are still famous. Whether good or bad though, all of these different sequels came from the sterling legacy of the original, which managed to knock Nintendo off its dominant perch and shake up the entire industry. In 1990, internal Sega development team Sega AM8 was given a very specific mandate from on high: Sega wanted a mascot to compete against Mario, and it was AM8's job to give them one. And to their eternal credit, AM8 created a blue speedster who gave them a new name - Sonic Team - and built a game around him that innovated in ways even Super Mario hadn't managed. So yeah...be thankful they came up with that idea. He may not have been the first anthropomorphic mascot but after Sonic took off, a host of imitators tried - and failed - to take the crown, from the lovable Earthworm Jim to...Bubsy. And when I say take off, I mean take off: buoyed by the wild success of Sonic the Hedgehog, Sega snatched the 16-bit market share from Nintendo at a 2-1 ratio and didn't relinquish it for years, helping open the door for Sony's entry into the marketplace. Sadly, like so many great silent film stars who couldn't make the transition to talkies, Sonic never really adjusted to the 3D world. His first foray into modern graphics, Sonic 3D Blast, is generally regarded as a mis-step, and the Sonic Adventure duo seems to be only a blip instead of the beginning of a trend. Sonic Team hasn't been able to harness whatever intangible factors helped make the two Adventures great and has instead ran the 3D part of the series essentially into the ground, only recovering with returns to 2D like Sonic Generations. But hey, Sonic is a historic series...and when it went bad, it went really bad. But let's not focus on the lowlights. Let's talk about how speed and momentum are vital ingredients in modern games from racers to action titles to yes, platformers. Let's talk about how Sonic helped solidify Sega as a solid developer, a status that continues to this day. Let's talk about his glorious appearance in Super Smash Bros. Brawl, about his appropriately speedy and excellent music from J-Pop star Masato Nakamura, about how Sonic Lost World actually looks like it might break Sonic's blue streak. And, as always...let's go fast. 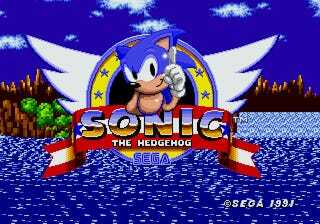 You can buy Sonic the Hedgehog on nearly anything that's been released since the Genesis. Next up: what's another word for strange?